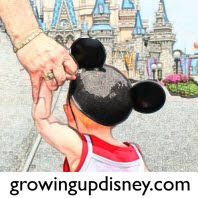 Growing Up Disney is at the Magic Kingdom today. Ridge is off with friends in the New Fantasyland and I am walking around taking lots of pictures. Note the GUD button at the bottom of the picture.